Ching-Yi currently serves as a board member and faculty of the Daraja Music Initiative (DMI). 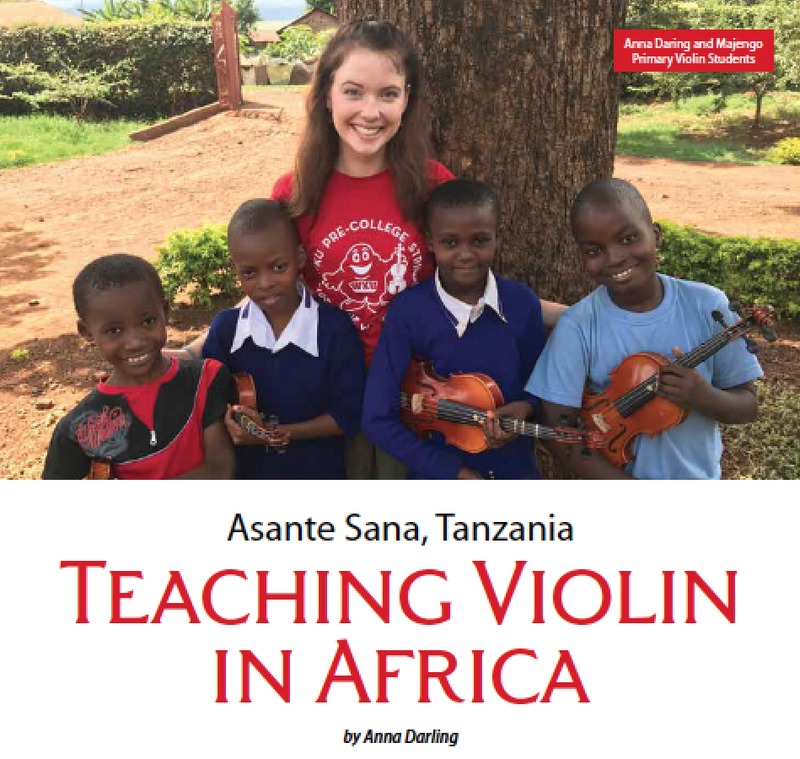 Each summer the DMI provides Tanzanian students with a unique interdisciplinary educational program that fuses music and conservation. In the summer of 2016, Ching-Yi initiated a beginning strings program for students of the Majengo Primary School and designed a curriculum for that program. Over 60 string instruments were donated from across the United States for this endeavor. The program offers college music majors an international opportunity to teach, inspire, and make an impact in a global classroom setting. Help us continue the project for future years! Click to Read about Anna’s trip to Moshi, Tanzania on page 14. DMI Music Curriculum for Beginner Violin Students, designed by Ching-Yi.